There is nothing worse than moving into an apartment or home hat is already occupied by bed bugs. Although bed bugs are not known to cause any disease or illness the psychosocial effects of bed bugs can be an ordeal. If you follow the steps below it will help you assure that your rental is not already home to some of these little critters! Talk to neighbors and other renters in the area to see if they have had any problems with bed bugs. Chances are if the apartment next to you has bed bugs, so does the one you are about to move into. Conduct a pre rental bed bug inspection for yourself. Look in the closet, cracks, and other crevices bed bugs may be hiding. Remember bedbugs are not found only in beds but in clothes, under carpet, and on furniture to name a few locations. Consider getting a free bed bug inspection from a pest professional if you are unsure about the bed bug inspection you performed for yourself. Make sure you talk to the property manager and ask about bed bug infestations. Don’t only ask about the current bed bug situation but ask about how management would handle future infestations. i.e. ; who is responsible for paying for treatment if you do get bed bugs in the future? Also look online to see if your building has in fact been the target of bed bug infestations in the past. Talk to the moving company you are using and make sure the truck is bed bug free. Ask them what precautions they take to avoid bed bug infestations when moving. 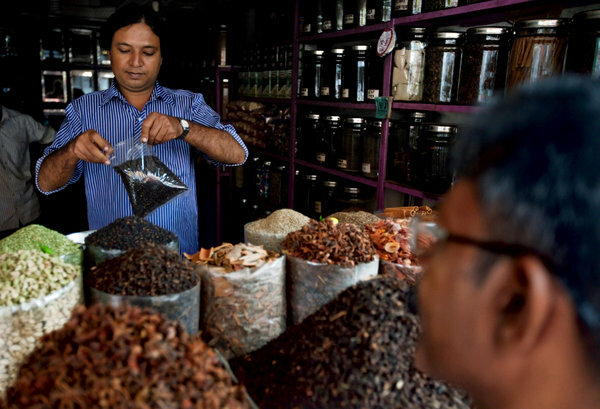 NEW DELHI — About 12 percent of spices brought to the United States are contaminated with insect parts, whole insects, rodent hairs and other things, according to an analysis of spice imports by federal food authorities. The finding released on Wednesday by the Food and Drug Administration is part of a comprehensive look at the safety of spice imports that has been years in the making. The federal authorities also found that nearly 7 percent of spice imports examined by federal inspectors were contaminated with salmonella, a toxic bacteria that can cause severe illness in humans. The shares of imported spices contaminated with insect parts and salmonella were twice those found in other types of imported food, federal food officials said. The agency called spice contamination “a systemic challenge” and said most of the insects found in spices were the kinds that thrive in warehouses and other storage facilities, suggesting that the industry’s problems result not from poor harvesting practices but poor storage and processing. John Hallagan, a spokesman for the American Spice Trade Association , said Wednesday that he had not seen the report, so he could not comment on it. But spice manufacturers have argued in the past that food manufacturers often treat imported spices before marketing them, so F.D.A. findings of contamination levels in its import screening program do not mean that spices sold to consumers are dangerous. F.D.A. inspectors have found that some spices that claim to have been treated are contaminated nonetheless. And the high levels of filth from insects and rodents is a problem that is not easily resolved because, unlike with salmonella contamination, simply cooking or heating the spices will not rid the products of the problem. Insects can also be a source of salmonella contamination. What share of the nearly 1.2 million annual salmonella illnesses in the United States result from contaminated spices is unclear, officials said. Fewer than 2,000 people had their illnesses definitively tied to contaminated spices from 1973 to 2010, and most people eat spices in small quantities. But people often fail to remember eating spices when asked what foods might have sickened them, so problems related to spices could be seriously underreported, officials said. Recent legislation in the United States grants the F.D.A. the power to refuse entry of foods that the agency even suspects might be contaminated — strong leverage to demand changes in harvesting, handling and manufacturing practices in foreign countries. Spice imports from Mexico and India have been found to have the highest rate of contamination. Nearly one-quarter of the spices, oils and food colorings used in the United States comes from India, according to the F.D.A. The F.D.A. commissioner, Margaret A. Hamburg, had intended to visit India this fall and meet with spice industry officials to discuss the agency’s concerns about spice safety, but the government shutdown delayed her plans, she said. Indian spice officials are offering incentives to get farmers to change some traditional harvest and handling practices that could lead to contamination. Michael R. Taylor, deputy commissioner for foods at the F.D.A., said that the spice industry needs to clean up poor storage practices, a difficult effort. “There is no magic wand for any of the problem we’re addressing,” Mr. Taylor said. In the late 1880′s a Chicago pharmaceutical salesman, E.R. Jennings, read about the Turkish soldiers who survived the plague during the 19th century Russo-Turkish war by dusting themselves with floral powder to protect from lice and fleas. He experimented with similar powders and discovered and effective pesticide (pyrethrum) that was apparently not toxic to people. He packaged and sold it to food plants and packing houses all over Chicago’s south side. As his business grew, he hired and trained staff to not only sell it but also how to apply it. This made Jennings one of the country’s first professional exterminators. The demand was so great that by 1888 Jennings had over a dozen workers and Smithereen Exterminators was officially born. As the years progressed, Smithereen continued to develop new and revolutionary pesticides and in 1910 trademarked the word “Insecticide” with the department of the interior (April 14, 1910 – No. 47243). By 1926 offices were opened in the north and west side and although the depression made growth difficult, large companies were taking over a lot of real estate properties and were in need a company that would not only sell them pest control products but have the skills to use, Smithereen found a niche. Smithereen also expanded to numerous other locations in the Midwest, in the east, and even west. The 2 nd generation president, H.E. Jennings took charge and brought with him new philosophies from his time in WWII, where he was enlisted in the Navy. He was active in helping in the war against malaria and other insect born diseases. Upon his return and time as a leader of Smithereen he was also the president of National Pest Control Association during its early years. became president in 1968. As a 3rd generation leader at the helm of Smithereen, he led the company with the same principles on which the company was founded. He was integral in shaping Smithereen into what it is today and had many challenges and successes along the way from fire to expansion to its current 5 locations in Chicagoland and Kansas City. The company was investing in itself by developing continuous staff training, requiring staff to be state licensed, hiring specialized staff that would elevate the service and make Smithereen an industry leader for years to come. Smithereen was already ahead of the game by the 90′s with highly developed IPM programs, no longer using many toxic products years before they were eliminated from the market by the EPA, and making a vacuum a standard piece of equipment for pest removal rather than spraying. The 21st century saw Smithereen only continue to move forward by working with SAFER Pest Control Project to create IPM programs that the State could use in public schools. In 2001, Smithereen Exterminating Company – America’s Pied Piper, became Smithereen Pest Management Services – Your Partner for a Healthy Environment. The change was marked by a Name Day celebration attended by all employees. The new name accurately reflects Smithereen’s commitment to continuing the use of Integrated Pest Management techniques and developing innovative strategies and long term solutions. Smithereen is now led by a 4th generation owner and president, J.R. Jennings, who is continuing Smithereen’s 2nd century of devoted service, ground breaking business strategies, and a commitment to not only employees but the communities Smithereen serves. Q & A: Are bedbugs just in beds?